Thea's Thinkings: My First TheasCraftings Jewellery Giveaway! When I first decided to open my Etsy store my Celtic Knot Jewellery collection was the first thing to go in there, and is still my baby, my pride and joy. Coming up with designs, choosing materials, making them and adding those finishing touches - everything that brought the collection to where it is today was a super special experience for me, and they are still my most popular pieces I take to craft fair. 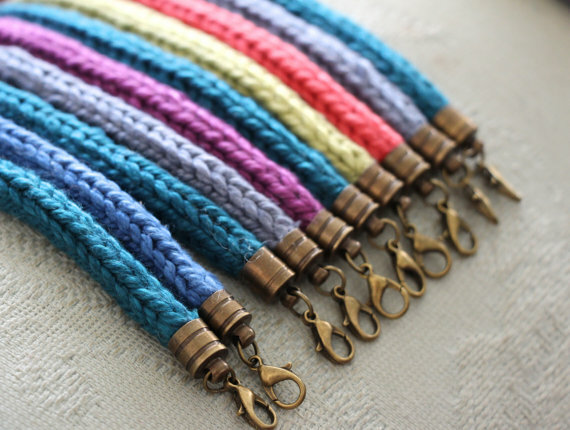 So when my blog reached that 100 followers on Bloglovin' mark, I decided to not only give them the audience they deserve, but welcome the latest love knot bracelets to the collection with my first ever blog Giveaway! I'm so excited to hold my first give away and hope you join in! If your already following me anywhere on the Internet, thank you so much for all the support, and be sure to put your username into the giveaway to already start collecting those entries! And if you're new here, welcome! Join in, wander around and say hello to the rest of the Thinking community. It's been such a wonderful part of my life to have you all here and I couldn't be more thankful for everything blogging and the blogging community have brought me! So to the important part! Before you enter the giveaway head on over to my Etsy page and check out the full collection. Everything in the collection comes in a range of colours and styles and the winner will have their piece made especially for them to their unique design and measurements! This giveaway is open internationally so to enter simply follow the options in the Rafflecopter giveaway below and tell me in the comments section which piece is your favourite, what colour you would choose and how you would wear it! The winner will first be announced on Facebook and Twitter. If you're the lucky winner you'll also be contacted directly for your postal details and get the piece you describe in the comments to your design! Ooh I love the necklace and wrap bracelet. I'd pick purple with the charm number 1. Most times I choose to wear a cord over chain when it comes to necklaces and I love that it's also a bracelet.. I love the shade of purple you use! And my favorite design is the necklace & wrap round bracelet. Thank you for taking the time to make these beautiful pieces and offering this giveaway. These are very lovely handmade celtic knots jewellery! I am swooning over the necklace and wrap around bracelet in the peacock blue! :) The charms are an added bonus and gives it a nice touch!